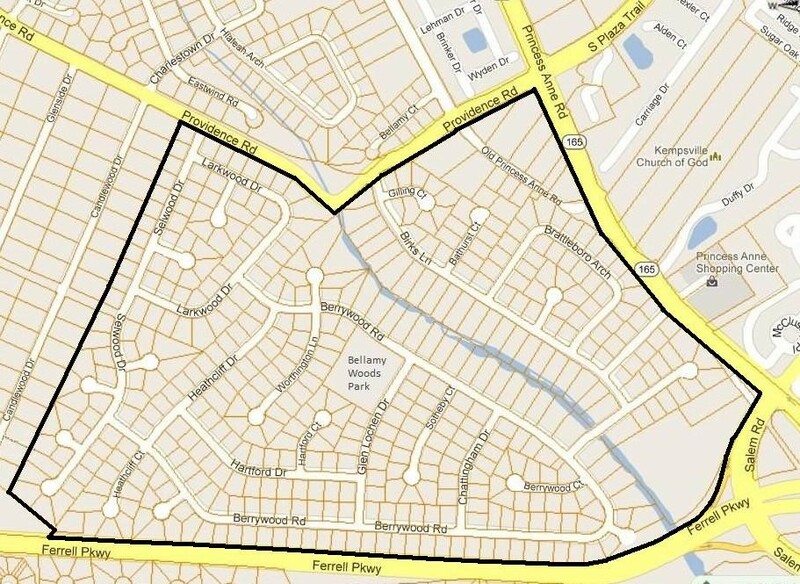 The Bellamy Woods Civic League represents an area comprised of 452 homes in the Kempsville District of the City of Virginia Beach. Residents enjoy the benefits of a quiet neighborhood located conveniently close to recreation, education, shopping, medical, and commercial services. The uppermost segment of the North Landing River flows southeast through our community.